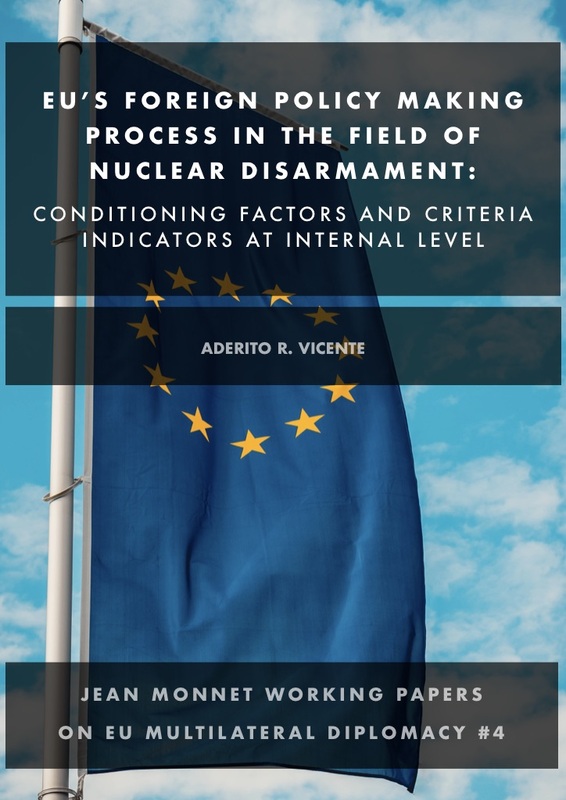 In this paper, Aderito R. Vicente explores the subject of EU foreign policy-making process in the field of nuclear disarmament. It firstly explains EU member states priorities and policy options (conditioning factors). Secondly, given the current political system and the institutional context it explores the elements which establishes EU institutions to presumably produce policy in field of nuclear disarmament in a coherent manner (criteria-indicators). Thus, in order to assess what affects this decision-making process, I will introduce and concisely use an analytical framework based on the identification of three different processes, namely: the internal process, the external process, and the outcome process (and its impact) of the EU international activities. For the purposes of this paper I examine only the internal process.